Last month, I stumbled across a manual online by John Griffin of Innovative Online Services. To be honest with you, I not sure what the name of the report is. I printed it off and have read it three times now (there is no name on it). If my hunches are right, the report is called “How to Get Filthy Rich in Multi-Level Marketing Without Getting Dirty.” The report is absolutely amazing, even though it’s more than 15 years old! John Griffin is a gentlemen specializing in direct mail and network marketing. He sells information products geared around network marketing, as well as other things too! I figured I would just share a few of the key points from the report that really resonated with me. I hope you enjoy them as much as I do. Each quote is in bold and italic. I provide my two cents after each one of his quotes. They are listed by in order of where I found them in John Griffin’s manual. # 1 In my experience it is virtually impossible to exist and make money with ONE supporting structure. By that I mean with one MLM plan or promotion, with one mail order promotion and with one source of income. To succeed in network marketing, and just about any other business, you need multiple streams of income. That way your income is diversified and protected. # 2 Before doing anyone else’s system take a good, hard look at the internal workings to see how the deck is stacked in their favor and out of favor for the distributors. This is really an important lesson. Most systems are designed simply to make the owner of the system profit, at everyone else’s expense. # 3 Start building your list of business builders. This list will outlast MLM Programs and carry you through the tough times. Begin thinking about creating and marketing products of your own. This is another important lesson. The money is in the list. The sooner you can shift from affiliate to product creator, the quicker you will make MORE money. # 4 My experience has shown that repeated offers of similar nature increase response rates. The money is in the follow-up. Most people need to see your offer numerous times before they will act on it. # 5 Almost half the people who bought my manual joined my MLM Plan. Lead with a good information product first, and over deliver. Many of your happy customers will gladly upgrade. # 6 Your job as a marketer is to build the biggest list of customers possible. Once again, build a big list and build it quickly! # 7 The only way I know to make a lot of money in MLM is to use the tried and true approach of making money first, and then using MLM as a back end. Never lead with your business opportunity. Use it as a back-end, after the person has purchased something else from you. # 8 It is interesting to note that some mail order / marketing firms make 50% of their revenue from their list themselves. Once you have a big list, you can rent it out and make even more money with it. 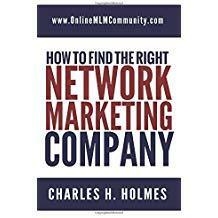 # 9 Make it a point to GET ON as many MLM related mailing lists as possible. It’s always a good idea to check out the competition and study what they are doing. You can learn a lot by doing that. # 10 Most successful mail order and MLM people have several steady streams of income. Once again, make sure you don’t have all your eggs in one basket. You need multiple streams of income. # 11 A major problem with MLM as well as mail order is the fact that the hype mongers put an idea into everyone’s mind that they are going to get rich in less than a year. Most businesses take a year or two just to get profitable. There is no such thing as get rich quick in business. # 12 The best way to market anything over the internet is to accumulate the interested parties REAL home addresses. Look at the the internet as a lead generation tool to help you build your offline list. # 13 You’ll be successful to the degree you can promote to the largest audience at the lowest cost in the least amount of time. This is the key to marketing in any industry. # 14 Most MLM folks rely on one plan, one way, one avenue to profit… their commission check. It’s better to be making money the other ways and to use MLM as just another avenue. Think of your MLM Bonus Check as ONE income stream in your business, not your only income stream. # 15 The internet is just another vehicle. The internet is NOT the solution to all your challenges. It is nothing more than ANOTHER way to build your business. # 16 Compile your prospect names and trade them off to get more. Do joint ventures with other list owners. Exchange names and you can really build your list quickly. # 17 The last thing a MLM Prospect wants is another MLM Program. Trying to sell a MLM Program to someone who is already involved in MLM is like trying to sell sand to someone stuck in the desert. Find out what people want and give it to them. In summary, these are 17 valuable lessons I learned from John Griffin of Innovative Online Services in New Jersey. Although I have never met the guy personally, his report is really full of great information. I’m not sure if it is available for purchase anymore or not. In fact, I don’t even know where to access the report again, but I am glad that I printed off a copy. Hopefully, these few nuggets helped you as much as they helped me! Thanks for the comment, John. I learned a lot from your guide. In today’s world, we call it attraction marketing, but guys like yourself were doing it long before it was called that. I’m glad it worked out for you, but I’m sorry you couldn’t find a long term MLM Company to work with. I wish you good health, happiness and propsperity. All the best. All of these quotes by John Griffin are very helpful. The one that “hit me” the hardest is #3. What I really get from this is to be innovative. Yes, keep sponsoring and selling the MLM products, but also create products and training materials of your own to sell. First, they will be 100% your profit, you will not just be getting a percentage, and secondly, as others are pushing the MLM so hard and overrunning people, you will be set in your own technique that isn’t as “high pressure.” I must admit Chuck, you have become quite good at this aspect. Thanks, Greg. Selling your own products is very important.